A structured 6-week program that teaches you how to meditate in stillness, and how to take a meditative awareness – that is, mindfulness – into daily activity. Meditation instruction ought to leave you capable of meditating without any dependence on a teacher, or on an app, or on music. Understanding how your mind interfaces with your experience of reality is part of the learning and motivates us to meditate. Stillness of mind was the original form of meditation. The purpose was to take the focus off everyday thoughts, and of thoughts about past or future, and simply stay in consciousness. A peculiar thing happens, for anyone who seriously practises this way: little by little, it becomes clear that thinking is not what consciousness is. Thinking is not possible without consciousness, but thinking does not create consciousness. Consciousness is bigger than the thinking mind. When that realisation dawns, we begin to reevaluate a great many of the views about ourselves that we simply took for granted. And we begin to see others in a new and realistic light, too. Teaching meditation and mindfulness is wonderful work. Training with us is comprehensive and teaches you more about meditation and mindfulness than what you currently know and practice; teach the way you prefer, from the whole scope of meditation and mindfulness. 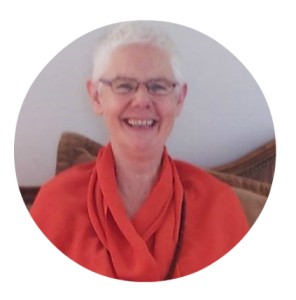 The program is endorsed by Meditation Australia, and by the end, you will have a comprehensive understanding of meditation, both modern and ancient - leaving you free to teach the approach that best suits you. It is good, pleasurable in fact, to sit to meditate with others. No matter where you have learnt to meditate, you may well like to sit in a group with others meditating. Oddly, people meditating together feel very connected, even though meditation is a non-talking practice! A one day retreat to experience explore and practice stillness in your life. Stillness meditation isa way to peacefulness and self-awareness - which then brings a better understanding of our impact on others and theirs on us. Little by little we get the capacity to see the mind creating its sense of self, with profound outcomes. A whimsical glossary of terms related to Meditation, Mindfulness, and Yoga. Get the skinny on what these words and terms really mean. If there's something you'd like explained that's not on here, drop us a line and we'll update it and let you know.